If there was ever a reason to sport a sweet “stache” and take a sweaty selfie to post with your check-in, this is it! We’re supporting Movember for the month of November to help educate men on the risks of prostate cancer. So get your handlebar, your Dali, or your Ron Swanson ready – because we want to see them! 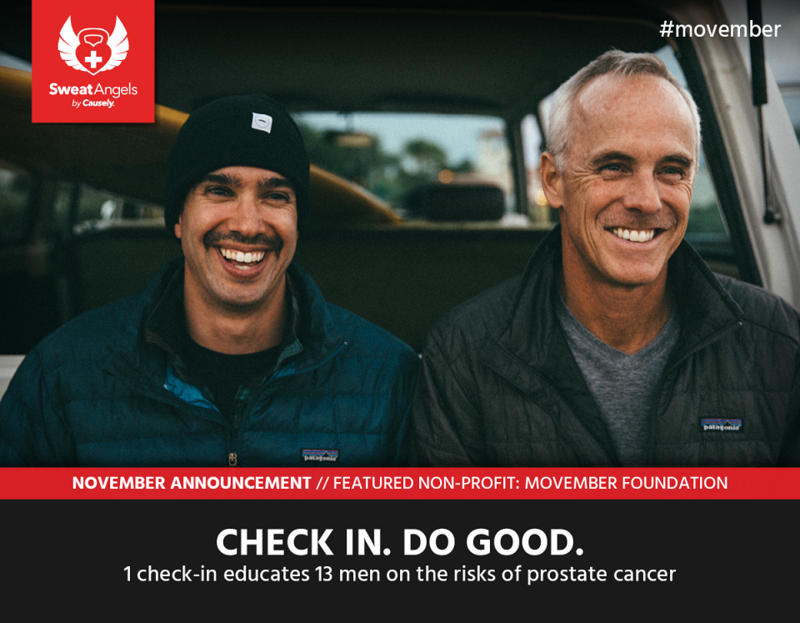 Every check-in, during the month of November, educates 13 men on the risks of prostate cancer. The Movember Foundation is the only global charity focused solely on men’s health. They raise funds to deliver innovative, breakthrough research and support programs that enable men to live happier, healthier, and longer lives. Their programs focus on prostate cancer, testicular cancer, mental health and suicide prevention. When you check in on Facebook, make sure to use the hashtag #movember! It’s a great way to remind your friends why you’re checking in.